Researchers from the Department of Energy’s Oak Ridge National Laboratory have created plutonuium-238. 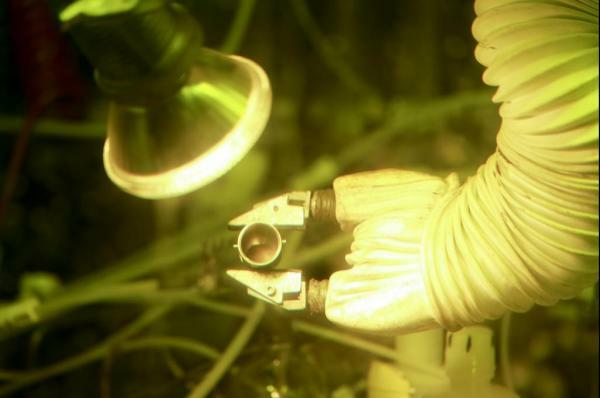 This is the first time since 80’s researchers have produced plutonium. The government just gave NASA a huge budget, fortunately. NASA began funding the DOE Office of Nuclear Energy with almost $15 million annual budget to regain the department’s plutonium-238 production. In order to produce plutonium-238, scientists mixed neptunium oxide with aluminum. After mixing neptunium oxide with aluminum, they pressured the mixture into high-density pellets. Then they used High Flux Isotope Reactor to irradiate the pellets, which produce neptunium-238. Neptunium-238 DECAYS into plutonium-238. It is then transformed into oxide. It is now stored in Los Alamos National Laboratory (LANL) and will be used until needed for the missions. NASA’s mission needs probably more than 77 pounds of plutonium-238.In Mid 2020s it will power more than three recommended missions.The importance of production of plutonium-238 can’t be overstated. ”We are facing Plutonium problems” Dave Mosher. “And it’s not just the U.S. reserves that are in jeopardy. The entire planet’s stores are nearly depleted”, Mosher added. Steve Johnson, a nuclear chemist at Idaho National Laboratory said “We’ve got enough to last to the end of this decade. That’s it”. Bob Wham, the head of the project for the lab’s Nuclear Security and Isotope Technology Division said “Once we automate and scale up the process, the nation will have a long-range capability to produce radioisotope power systems such as those used by NASA for deep space exploration”. He continued “With this initial production of plutonium-238 oxide, we have demonstrated that our process works and we are ready to move on to the next phase of the mission”.